Job News – Who’s Hiring in Financial Services? Apex Fund Services is hiring for 50 new employees at their newly expanded operation in East Cork. As a Fund Administration specialist, the firm will hire experienced professionals and Grads across their range of accounting and financial services related roles. US Payment Processing Tech company Cayan is launching a new merchant services support function in Belfast. They’ll be creating 65 new roles across Client Services, Customer Services and Case Managers. 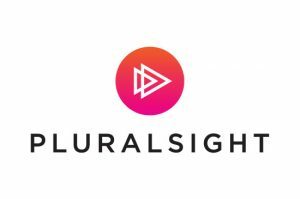 Enterprise tech-learning outfit Pluralsight is creating a new 150-person EMEA centre in Dublin early this year. There will be 150 people right across a variety of functions including an EMEA Finance team. Carne international recently announced 50 new jobs in Kilkenny. Carne is a global provider of fund management solutions to the asset management sector. A good range of roles including compliance, risk and operations. Taxback International are undergoing significant growth and have announced 80 new roles in Kilkenny. The VAT recovery specialists will be recruiting across a range of roles and functions in finance, sales and marketing. Immedis have announced significant growth plans and will create 80 new roles across Dublin, Kilkenny and New Jersey. Immedis plan to hire across Payroll, Tax and Technology amongst other areas. Design software firm Autodesk is to open a new office in Dublin, which will lead to the creation of 200 jobs. Its first inroads into the Irish market, the organisation is recruiting across Tax, Finance and Operations.